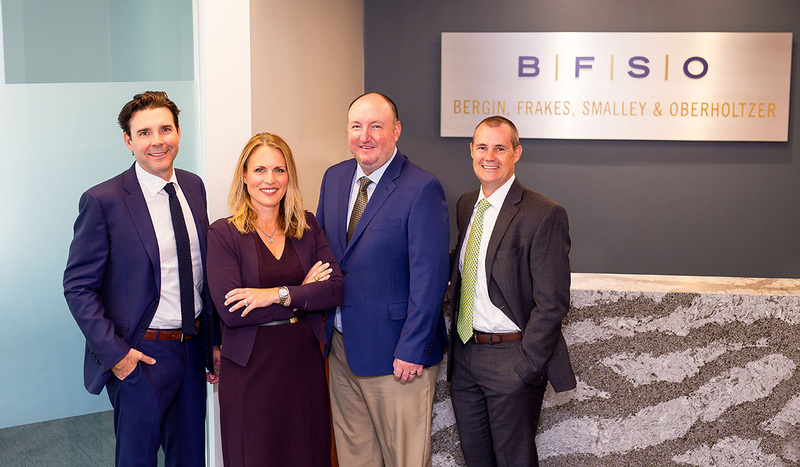 At Bergin, Frakes, Smalley & Oberholtzer, we put more than 50 years of experience in real estate and development, commercial transactions, and civil litigation to work for you. Providing trusted, reliable counsel, our attorneys have the knowledge and commitment to help you accomplish your goals and protect your interests. BFSO lawyers are committed to responsive, timely and strategic advice when developing solutions to your legal issues. When you hire BFSO, you can count on experienced Arizona-based advocates who are committed to your success. The firm’s litigators effectively represent its clients in a wide array of commercial disputes. They render sound advice and provide superior advocacy in every phase of litigation, from pre-litigation negotiation to appellate work. Their approach is business-oriented and solutions-driven, designed to achieve results in the most cost-effective and efficient manner possible. BFSO’s litigators practice in Arizona and Nevada, including the Arizona Court of Appeals, Arizona Supreme Court, Arizona District Court, United States Bankruptcy Court, Ninth Circuit Court of Appeals, and the United States Supreme Court. BFSO is your partner and advocate in municipal and county land use and entitlement matters. With decades of private and public-sector experience, our attorneys are equipped to navigate local jurisdictions and committed to getting your project entitled, permitted, financed and constructed in a timely and cost-effective manner. Our practice areas include, but are not limited to, master-planned community development, large-scale retail and employment projects and applicable use interpretations with respect to land use restrictions, exactions, zoning variances and exemptions, platting, and easements. Whether you are an individual, a small business or a national corporation, BFSO can advise and assist you in all aspects of your commercial transactions. From the acquisition and disposition of real property and business assets, to commercial leasing, corporate structure and governance, tax planning, and finance, BFSO is dedicated to providing its clients with the sound advice and service necessary to accomplish their unique business objectives. Highly regarded as one of Arizona’s most effective civil litigators, Brian has represented individuals, insurers, banks, small and large businesses, governments and public servants in his over 25 years of practice. He advises clients through every phase of conflict resolution, from pre-litigation negotiations, to bench and jury trials in state and federal courts and through the appeal process. He advocates client cases before various governmental agencies in administrative hearings and frequently guides clients through arbitration, mediation and other alternative dispute resolution proceedings. Brian is admitted to practice in the state and federal courts of Arizona and Nevada, the 9th Circuit Court of Appeals and the United States Supreme Court. 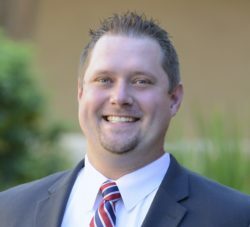 Brian is a Judge Pro Tempore for the Maricopa County Superior Court and serves as a mediator and arbitrator in various civil litigation matters. Former member of the Board of Directors of the Maricopa County Bar Association, Arizona Association of Defense Counsel, and 1st Way of Maricopa County, Inc.
Ken focuses on commercial disputes arising out of contract claims and commercial torts, including claims related to professional liability, construction law, partnership disputes, insurance defense, and collections. He also has developed a constitutional practice defending civil rights claims, federal preemption of state law, and election law. 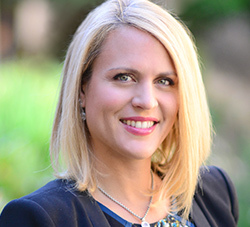 Ken has participated in every aspect of the process: pre-litigation dispute resolution, mediations and arbitrations, administrative agencies, bench and jury trials in state court and federal courts, appellate work in at the Arizona Court of Appeals and the Ninth Circuit Court of Appeals, and filed an Amicus brief in the United States Supreme Court. Ken is also well versed in issues related to raw land development. Ken’s approach is business-minded and solutions oriented. Not only do his clients benefit from strong advocacy skills that he developed over years of litigation, but they also benefit from sound business advice, which is grounded in his experience as the former general counsel to a large land investment company – where he handled hundreds of millions of dollars in real estate transactions, managed several business organizations and partnerships, and dealt with commercial issues that confront business people on a daily basis. 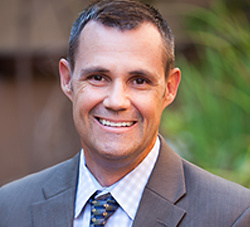 Mike has handled a variety of transactional real estate, tax and finance matters in Arizona and California. He has represented hundreds of businesses and individuals with respect to the legal, tax and financial consequences of entering contractual relationships, negotiation and drafting of both simple and complex contracts for the acquisition and disposition of real property, commercial projects and business assets, along with negotiation and drafting of both ground and retail leases on behalf of tenants and landlords. 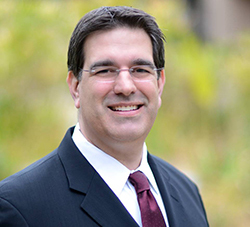 Mike has become a trusted advisor to his corporate clients on issues involving corporate governance and structure, and has effectively guided his clients through the state, local and federal tax pitfalls inherent in any operational decision. In addition, Mike has represented business owners and individuals, as well as local and national lenders in a variety of financing transactions, including workouts and modifications, traditional and hard money lending, loan refinance and assumption, along with renewable energy and transportation infrastructure financing. 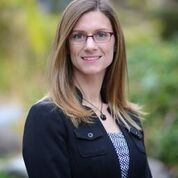 Carolyn practices in the fields of land use and municipal law, and handles zoning, due diligence, development agreements and regulatory issues within municipalities and counties throughout the state. 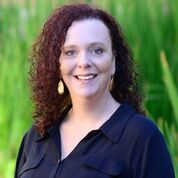 Carolyn served as Assistant City/Town Attorney for Avondale and Fountain Hills, Arizona from 2002-2004. Since her time with the municipalities, she has handled the rezoning of thousands of acres spanning many jurisdictions – including the negotiation of complex pre-annexation development and incentive agreements and the creation of special taxing districts to finance project infrastructure – for some of the largest master-planned communities and commercial projects in the state. 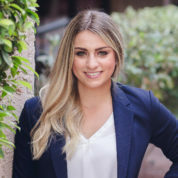 A third-generation Arizonan from Tucson, Carolyn is committed to the local community through several charitable organizations and is an avid University of Arizona basketball fan. 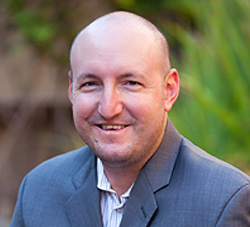 Kevin is a skilled litigator with over 15 years of experience representing companies and individuals in commercial and construction litigation, contract negotiation and drafting, professional malpractice defense, complex business litigation, and insurance coverage disputes. He regularly counsels clients regarding day-to-day business and legal compliance matters and is regarded as a go-to advisor who offers clients practical solutions to complex problems. Kevin represents small and large businesses throughout varied industries. 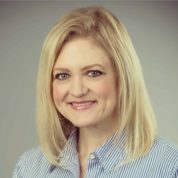 He has extensive experience representing general contractors, subcontractors, design professionals, owners, developers, and sureties with public, private, commercial, and residential construction disputes. He manages all aspects of litigation in state and federal court, mediation and arbitration, administrative hearings, and appellate proceedings. Kevin also handles a variety of transactional matters involving the drafting and negotiation of corporate documents and contractual agreements. 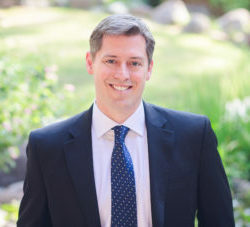 He is a recipient of the Martindale-Hubbell Service’s rating of “AV Preeminent”, the highest possible rating for both legal ability and ethical standards. Andrew’s practice focuses on land use and entitlement matters. He handles a variety of zoning, regulatory, environmental compliance, and due diligence issues and always seeks to add value for his clients while advocating on their behalf. He has represented clients before local and state agencies and has experience with appeals and other challenges to project approvals before various adjudicative bodies. Andrew has led teams of consultants in preparing complex environmental reports to comply with legal requirements. Andrew’s practice also includes a variety of real estate, transactional, and litigation matters. Andrew practiced in California for six years before moving back to Arizona. 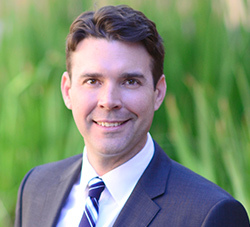 In law school, Andrew was an articles editor for the UCLA Law Review and president of his graduating class. Prior to law school, Andrew worked in Phoenix on political campaigns and in the construction industry. He also worked in the Washington D.C. offices of two members of Congress handling a variety of legislative and communications issues. Bradley Scott practices in a wide variety areas for BFSO, from civil litigation to transactional and corporate governance, to land use and municipal law. Bradley implements a solutions-based approach grounded in his entrepreneurial spirit and endeavors, real world experience, mediation training, and business and law education. Bradley has experience in business startup, ownership, and management and is a managing member of two local businesses. Prior to earning his Juris Doctor, Bradley was Sales Account Manager for a large technology solutions company providing a wide array of business solutions for medium to large businesses. Additionally, Bradley worked many years in the restaurant industry as a manager, trainer, and server. In law school, Bradley received the highest distinction for his Pro Bono service, and a Certificate in Law, Science and Technology with a specialization in Intellectual Property. He also completed his mediation training through the Lodestar Mediation Clinic. Bachelor of Science Degree in Finance from Arizona State University’s WP Carey School of Business, and a minor in Human Communication.